Many bulbs readily multiply by producing offsets without any help from the gardener. But as well as taking advantage of this, it is quite simple to grow more of your favourite bulbs using just a few other techniques, including scaling, bulbils, seed and division. Bulbs can be easily and effectively propagated using a variety of techniques, but always use disease-free material. Try lilies, snowdrops, daffodils, tulips and alliums. Some bulbs naturally propagate themselves by seed. To aid bulbs spreading, allow seed capsules to develop on Crocus, winter aconite (Eranthis), snowdrop and bulbous iris plants, and be careful not to weed out their grass-like young shoots. Bulbils can be found in the leaf axils of some lilies including Lilium bulbiferum, L. leichtlinii and L. sargentiae. When ripe, these detach easily and can be pressed into the surface of a pan of compost. Cover with 13mm (½in) of coarse sand or fine grit. 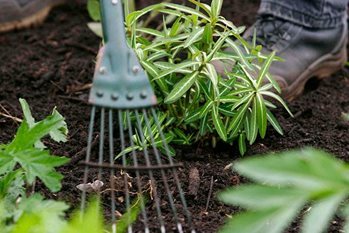 Keep frost-free over winter and plant out the entire pan as a clump the following autumn. This method works well for daffodils, Hippeastrum, Allium, Fritillaria, Iris and hyacinths. This is similar to division of offsets, except it is carried out after flowering while the leaves (the green) are intact. This method is often used for snowdrops (Galanthus) and snowflakes (Leucojum) as they do not re-establish well when planted as dry bulbs. The corms of hardy cyclamen and the rhizomes of wood anemone (Anemone nemorosa) may also fail to establish when planted in a dry state, as may the bulbs of the bluebell, Hyacinthoides non-scripta. There aren’t many problems to watch out for, but the following pests and diseases can be troublesome at times aphids, narcissus bulb fly, slugs, snails, squirrels (particularly with tulips and crocus), damping off of seedlings. Lily beetle is a problem of lilies and fritillaria.